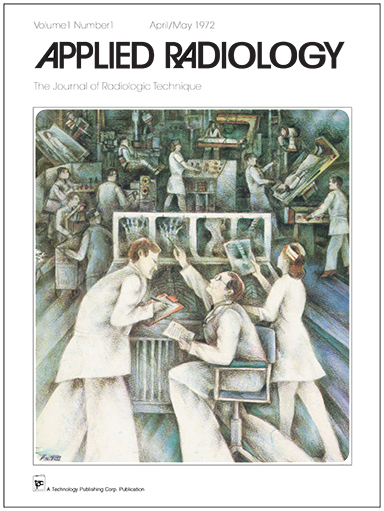 When Applied Radiology (AR) made its first appearance in April 1972, the bi-monthly, hardcover journal contained two articles, “Leg Length Measurements by Scanography” and “The Case for and Against Licensing Radiologic Technologists,” along with an editorial titled, “Bridging the Gap.” You can also see that, even back then, the cover (Figure 1) of that first issue sported what continues today to be a hallmark of the journal, a veritable portrait of the beauty and artistry of medicine and medical imaging. 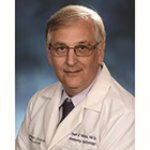 In those early days, AR’s mission under founding editor E. Everett James, MD, of Johns Hopkins University, was to “create dialogues between specialties and their support staff.” But the journal’s mission has evolved significantly over the years through a succession of editors in chief, including Juan M. Taveras, of Harvard Medical School, who served from 1997 to 1989, and Theodore Keats, MD, of the University of Virginia Medical School, who served from 1989 to 2001. Dr. Keats, especially, believed that plenty of imaging journals were around to emphasize the scientific content of radiology, but very few to teach or review practical radiological information. Under his able hand, AR evolved into a journal geared toward examining major topics directly applicable to everyday radiology practice. Each short issue consisted of two brief, easy-to-read articles, up to two case studies, and an editorial focusing on a relevant issue of the day. Today, at 43 years young, Applied Radiology remains largely true to that mission, with articles on such topics as the typical imaging appearance of pathology, common diagnostic mistakes, diagnostic imaging pearls of wisdom, and recommendations for initial and subsequent imaging studies all continuing to make up the content of any given issue. Nevertheless, many new issues are springing forth to confront today’s radiologists beyond their primary role as interpreters of imaging studies; to remain pertinent, AR is evolving to provide content well beyond its initial practical clinical radiology mission. Indeed, among the topics you’re increasingly likely to find covered in our pages are: new technologies and their applications, the growing need for super-specialization, the importance of radiation dose control, the emergence of enterprise imaging and Meaningful Use, evolving financial paradigms that impact radiologist reimbursement, the use of structured reporting, optimization of PACS, interfacing with electronic medical records, the role of appropriateness criteria in directing patient work-ups, the need to recognize and find solutions to safety issues in the hospital environment, and more. In addition to exploring these topics through thoroughly researched and well-written feature articles (See sidebar), you’ll find them covered through a host of longtime and new columns and departments. These include Technology Trends, which has evolved over the years to provide updates of industry-related news and developments; and Enterprise Imaging by Rasu Shrestha, MD, MBA, who looks at PACS- and IT-related aspects of radiology. We’re also giving specialty departments their due with offerings like Interventional Radiology by Jeffrey Hellinger, MD, and the online Pediatric Imaging Community created and hosted by father-and-son radiologists Richard Towbin, MD, and Alexander Towbin, MD. And we’re not stopping there. In the current issue Sarah Conway, MD, initiates her new column, The 3-Piece Suit Radiologist, in which she discusses issues of quality management, patient safety and cost modulation in radiology. Coming soon, given AR’s wide distribution in the community of radiologists, we’ll also be offering CME opportunities. Through it all, we’ll continue to give you our own C. Douglas Phillips, MD, and his Wet Read column at the end of every issue for a refreshing look into the dark corners of a disinhibited, unprotected cerebrum to get the real deal on what makes our specialty tick—or not. In closing, let me say that you can rest assured that we here at Applied Radiology will continue to ask you, our valued readers, what you need to refresh your familiarity with longtime major areas of diagnostic imaging, as well as to cope with new and rapidly emerging nonclinical developments to improve safety, service quality, utilization of financial and human resources, equipment selection and yes, even our appreciation of humor. After all, we’re only 43, and we still have a long way to go. Editorial: 43 years and still growing. Appl Radiol.